Swiss authorities began a new series of pre-dawn arrests Thursday in the broad investigation, led by United States officials, into corruption in international soccer. 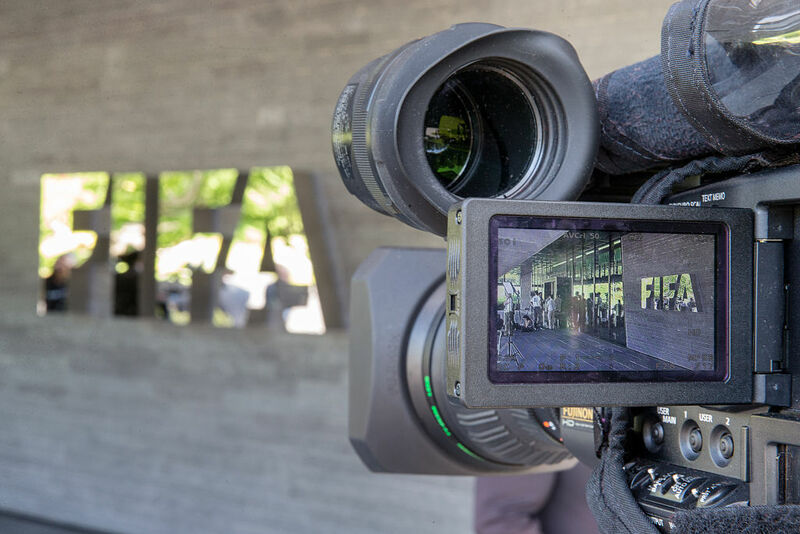 More than a dozen people were expected to be charged, law enforcement officials said, nearly doubling the size of an already huge case that has upended FIFA, soccer’s multibillion-dollar governing body. The police were targeting current and former senior soccer officials on charges that include racketeering, money laundering and fraud, authorities said. The new charges were expected to hit South and Central American soccer leaders particularly hard, the officials said. Last time cops used the front door. This time 8-10 plainclothes entered via side entrance on a bridge over water at side of hotel. As last time, action is quiet — no guns, no banging on doors. A hotel staffer is assisting w room numbers. What’s funny is some of these arrests could have potentially been avoided if officials stayed at less plush accommodations. The full implications of these latest arrests will take some time to suss out, as we don’t know just who’s arrested yet (Borden reports that CONCACAF president Alfredo Hawit is one of the arrested figures, which is funny because he took over for Jeffrey Webb, who was arrested at the hotel in May) and what they’re charged with. Much more information is expected to come out Thursday, especially when the U.S. Justice Department unseals the latest round of indictments. What we know for now is that the FIFA corruption scandal, and the U.S. government’s interest in prosecuting it, appears to be far from over.